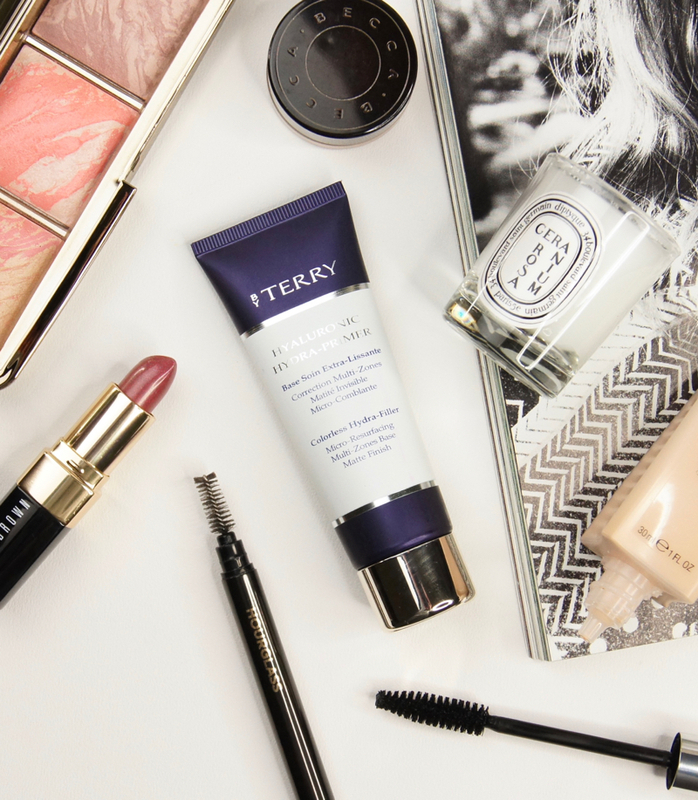 Fusing hi-tech formulations, skincare benefits and magical makeup, By Terry is a brand that not only aims to enhance beauty with cosmetics, but creates innovative products that also treat and care for the complexion simultaneously. 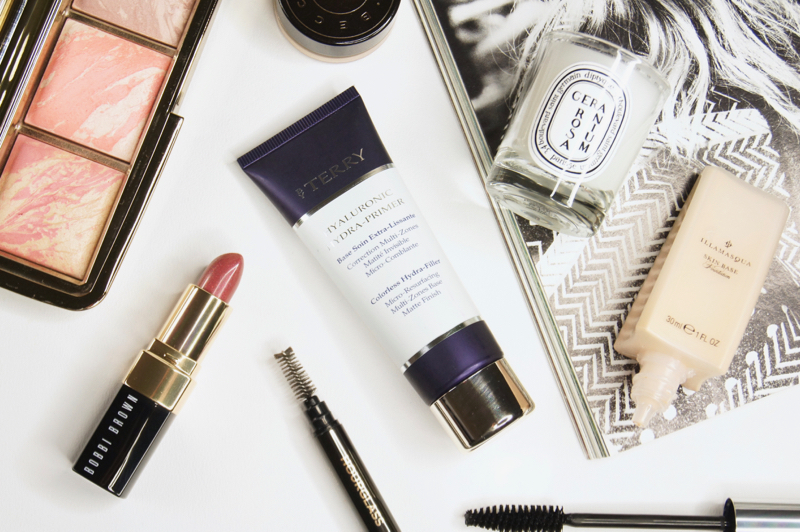 I covet pretty much everything in their luxury range and treasure every By Terry product I've splurged on, including one of my all-time favourites, the Hyaluronic Hydra Primer. I recently repurchased this wonder product after finishing off my first entire tube, which previously featured in my Best + Worst: Hydrating Primers post, so I just had to review it for you. Having skin that's on the dry/dehydrated side, I always prefer to use hydrating primers. What annoys me about the majority of moisturising formulas, though, is that there seems to be a necessity for them to be very liquid and create a dewy result. Don't get me wrong, I love products that deliver a boost of radiance and extra juiciness to my skin, but I don't always want that from a primer. I still like them to even out and perfect the skin texture, whilst keeping it plumped, which is exactly what the By Terry Hyaluronic Hydra Primer excels at. By Terry claim that the Hyaluronic Hydra Primer smoothes and plumps the skin to improve tone and texture. Full of hyaluronic acid, microspheres and resurfacing polymers, the foaming mousse erases lines and fill wrinkles, leaving behind a silken feel and matte finish. If a product can do all that, whilst keeping my skin soft and supple, then I'm all for it! Exactly as the premium brand promises, this primer helps skin to stay looking fresh and plump all day, but also diffuses the look of lines, fills enlarged pores and blurs imperfections at the same time. Even used alone, without applying foundation over the top, it makes a big difference and creates a more uniformed skin-tone. I do find that it's best to gently smooth the primer over the face, rather than vigorously rub it in. If you have any acne scarring, severely pitted skin or very enlarged pores, dabbing extra product over the affected areas and patting it in is essential to effectively 'fill in' any flaws. Rather than creating a glossy sheen on the skin, this primer has an unusually matte finish for a hydrating formula. There's no greasy-looking shine or tacky residue left behind after application, which ensures that any makeup applied over the top doesn't just split or fade after an hour of wear. Don't let the matte finish fool you into thinking that it makes skin feel dry and tight, or that makeup doesn't blend well over the top, though. On the contrary. It's more than hydrating enough that any rough patches aren't exaggerated and foundation doesn't cling to them. Instead, skin is left feeling comfortable, soft and super smooth. As the finish is matte, foundation and concealer are given something to grip to, for improved longevity. Although described as a foaming mousse, the primer doesn't actively expand once squeezed out as you might expect, like a bottle of hair mousse does. Initially, the texture seems more like a thick white cream, but the mousse consistency becomes apparent as soon as you touch it. Once you blend it across the skin, the white colour disappears into a transparent veil. It does contain some fragrance, but it's only subtle and smells fresh rather than floral, which my skin isn't bothered by. A little goes a long way with this product, which is handy seeing as it costs an absolute fortune. Unsurprisingly, being a premium product, this primer doesn't come cheap. It's £42 for 40ml. It's extortionate. But, this is such a unique product and I really feel it makes a huge difference to how polished my makeup looks. Plus, my tube lasted for about a year with regular use. Investing in high-quality base products is something that I'm happy to do and I prefer to spend my money on things like primer and foundation, whilst saving on things like mascara and brow grooming. My top priority with makeup is to achieve a flawless complexion that appears as natural and healthy-looking as possible, and this primer certainly helps to do that. If possible, I always recommend trying to get a sample of expensive products, before you commit to buying the full-size. 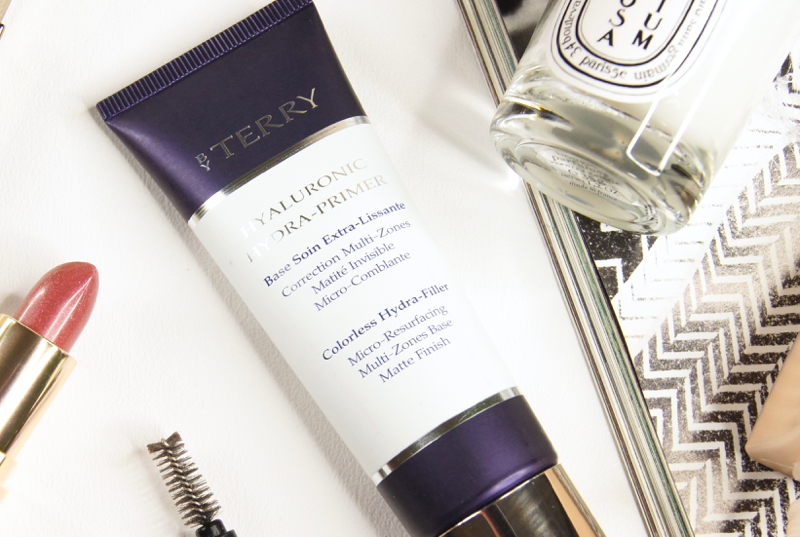 Have you tried the By Terry Hyaluronic Hydra Primer before? Hi Alice, I have nominated you for a Bloggers Recognition Award! I've not tried anything from the brand before and at the price this primer comes at, wow! That's a whole days+ wages for me! So glad youve done this post as now I know that it is pretty good and makes a difference. I will definitely try a sample first though so I know it's right for me!